Newly drilled sugar beet could have its yield potential increased significantly by applying a new growth stimulant that supplies a crop-specific formulation of beneficial soil bacteria, according to leading plant research company PlantWorks Ltd and agronomy specialists ProCam. Prospects for good margins from spring barley mean growers mustn’t neglect two of the most important aspects of the crop’s agronomy needed for good yields and quality this season, a leading agronomist is urging. Sugar beet growers looking to capitalise on the crop’s strong income potential by raising yields could make substantial gains by boosting leaf development with a combined early-season nutrition and plant growth stimulant programme, new trial findings by agronomy firm ProCam suggest. 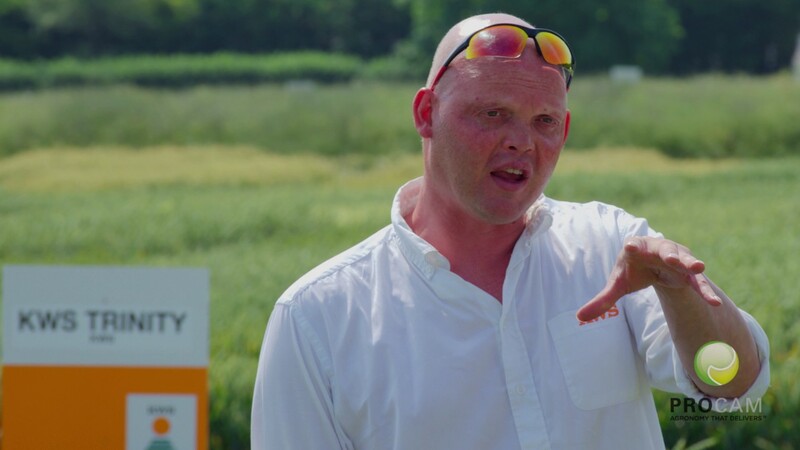 T0 can be a make or break timing for protecting winter wheat’s yield potential against disease, says ProCam’s Head of Crop Production, Nick Myers.